Corrosion Control & Metal Finishing | American Tinning & Galvanizing Co.
As a NADCAP certified supplier, American Tinning & Galvanizing Company (ATG) has been the leader in the corrosion control of metal since 1931 through the use of high-quality chemical processing systems. With a quick turnaround rate, most jobs are in our building for only 48 hours. ATG is the premier choice in corrosion control and the metal finishing industry. As a one-stop-shop for corrosion control and metal finishing, we also offer electroless nickel and black oxide finishes. With our production facility operating 24 hours a day, we can ensure to accommodate customer's special needs. We invite you to learn more about our NADCAP accredited metal finishing capabilities for steel and aluminum, after-processing services and fabrication. 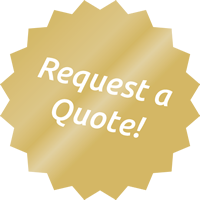 Get started with corrosion control by requesting a quote from ATG today!